Eazy CABS is the Nagpur’s First Wifi CABS. Our mission is to provide world class car rental services in Nagpur with prices that compete with the ones offered by ‘around the corner’ local rental car providers. Through extensive use of technology, we keep our operating costs low to provide excellent services, and pass on the savings to our customers. Eazy CABS are available round the Clock 24X7 services will be at your door step within 30 minutes. Immaculate fleet of luxurious cars with huge luggage space for your traveling gear & always our top priority for the Passengers comfort. We have our own garage and service station and we attend any emergency services with constantly groomed for interior to ensure a clean pleasant ambience in the cab. In Eazy CABS Chauffeurs go through an extensive training program which results in providing you a pleasant and safe traveling. Lost & Found:Please call our Customer Service Center at 654 33 33 and give us the details of the cab number, date and time of travel and we will help you track down your missing item. Eazy CABS chauffeurs are trained to report items left behind in a cab. Regular maintenance to ensure no vehicle breakdown in transit travel. Reserve fleet of cabs kept at the pick-up point with no charges for luggage fees. 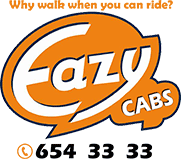 You can book a Eazy CAB either through our Website or Phone. Parking ,Toll , Permit charges are applicable wherever required. Night Charges (25% Extra) are applicable in city limit package from 11pm to 5am. One day means 00:01 hrs to 23:59 hrs. EAZY CABS 24X7 Receives the right to change the tariff without prior notice. If you have not decided yet or wants to customize tour itinerary or hotels listed above in "Eazy CABS Car Rental in Nagpur", then we can change the travel itinerary and make a personalized, tailor-made holiday package, especially for you. We can modify this travel package as per your itinerary, budget, duration and the tourist places you would like to visit, including transportation and airfare should be included or not. Please fill the form below to contact us.